YWA Leaders gear up for midterms! 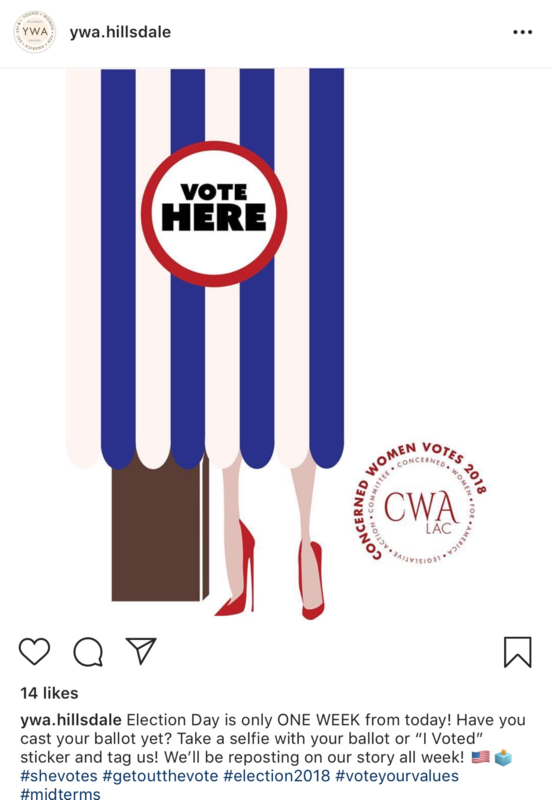 Our leaders are sending out CWA’s voting cards to their chapter members and posting on social media encouraging their peers to exercise their voice by voting. Some of them discussed the ballot in their chapter meetings, will be passing out voter guides on campus, and others are having a voting watch party this coming Tuesday! 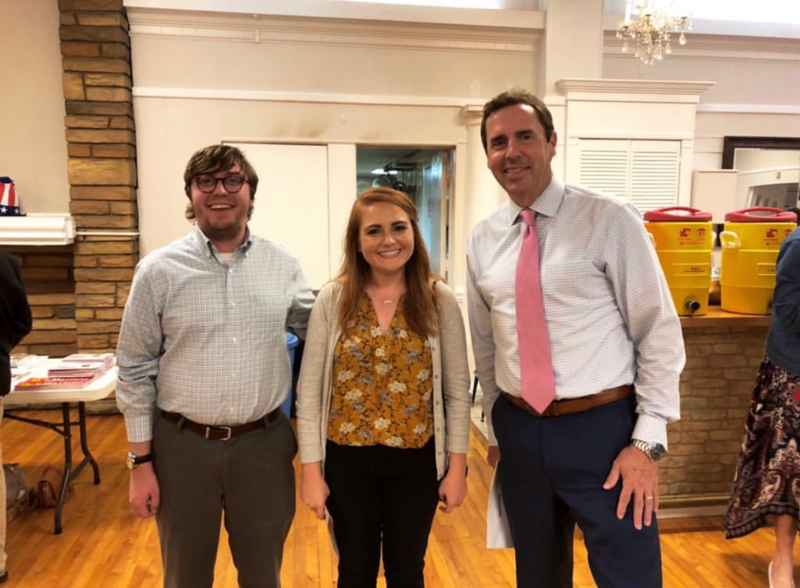 YWA leader in Greensboro, North Carolina with Congressman Mark Walker. 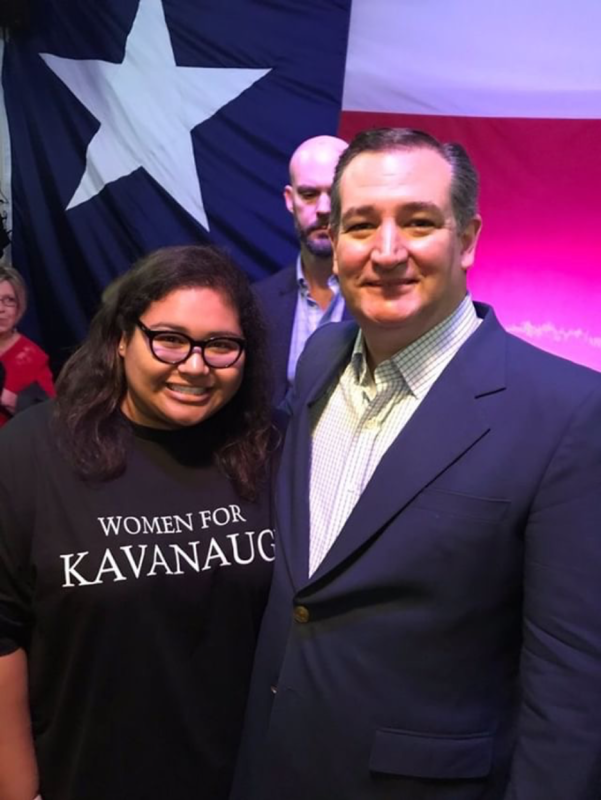 Our YWA leader at Stephen F. Austin University wearing our Women for Kavanaugh t-shirt at a Ted Cruz rally! 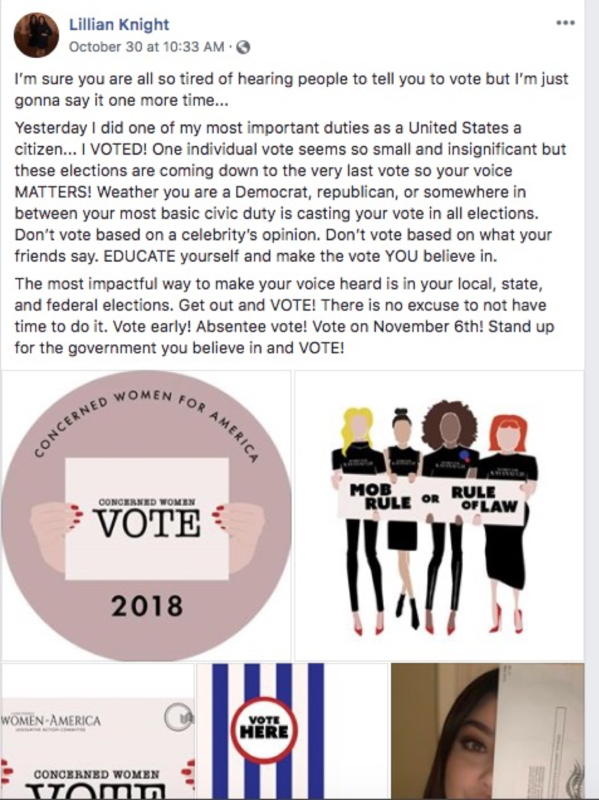 YWA Leader at Louisiana State University shares on Facebook why voting is so important! YWA at Hillsdale encourages its members to vote!